The first Southwark Bridge wasn't built until 1819. The original bridge was designed by John Rennie & Son and features in Charles Dickens', "Little Dorrit" and was notable for it huge cast iron span - the world's largest! 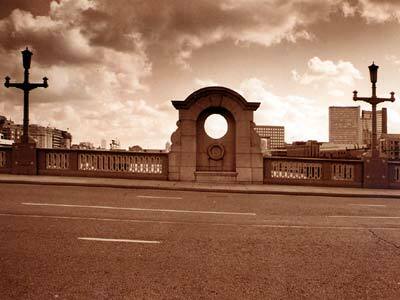 The current bridge dates from 1912-21, and was built by Mott and Hay to the design of architect Sir Ernest George.